Penny – Renee Robbins. Writes. Descending into pathos now. Not where I was going. 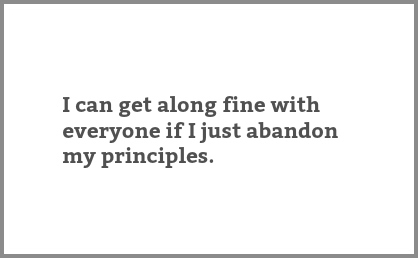 Politically, I can get along fine with everyone if I just abandon my principles. And that is all I’m going to say about that. Oh, and – we are becoming caricatures of the names we are calling each other. Maybe we always were. But that is for another day. So, about two weeks ago I scrapped That Shameless Hussy and created something that suits me better now. Well. It’s my name, so it should. This freewrite is slowing down, and the self-doubt is getting louder. This is my big epiphany? That writers are neurotic and I am boring and self-absorbed? I needed a month-long writing challenge to figure that out? I have a lot of work I want to do. Right now, I just want to read some writing that was written for its own sake. Something that the writer has taken time to create, that it’s about HOW the story was told, as much as it was the story. And I want to write some writing that is written for it’s own sake. Just to share perspectives. I got a little caught up the HEY IF YOU ARE TRYING TO BUILD A WRITING CAREER YOU ARE DOING IT ALL WRONG HERE READ THIS/DO THIS/WRITE ABOUT THIS vibe. I’m not sure what “writing career” means to me, at my age, in this climate. I had a friend who was harassed and sent pictures of mutilated body parts over a piece she wrote. I also know of writers who have behaved horribly, weaponized their online presence and followers over a perceived personal slight to such a horrific degree that it made me never want to speak to another person who was not standing in front of me with two forms of ID. People are gross. Prior to blogging, I clung to my slightly-tinged-with-wry-cynicism-belief that there is mostly good in the world. I thought the good parts of writing for an online audience outweighed the bad. This fear is ridiculous. More so now that I’ve said it out loud, which was kind of the point. So why didn’t I just keep a journal? The publishing part, I think. Maybe the answer isn’t slaying. Maybe it’s figuring out what you are trying to tell yourself, and separating the noise and anxiety from the reasons behind it. Why would I try to stop myself from doing something that I worked so hard to create space in my life so I could? This is like agonizing over how many times your penny will flip as you cast it into a fountain full of millions of others where it gets lost in a pile at the bottom.